Monitoring the quality of air is getting more and more important and regulatory requirements are becoming more stringent. By determining the isotopic composition crucial information can be derived about the sources of the observed increase in atmospheric CO2. Are these anthropogenic or natural? What anthropogenic sources? Why is this? The isotopic composition of CO2 can tell you more about the physical and biological processes that created the CO2. Thermo Scientific provides you with the instrumentation to help you monitoring the quality of air. 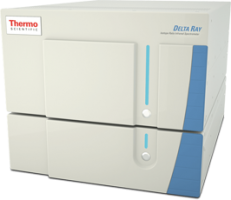 The Thermo Scientific™ Delta Ray and Delta Ray Connect™ Isotope Ratio Infrared Spectrometry products are very powerful for this application. These instruments are able to measure the CO2 content and its 13C and 18O isotope composition in ambient air. Both are field deployable instruments, allowing you to perform continuous, unattended measurements at remote observation stations. 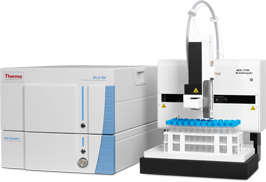 The Delta Ray Connect can be connected to an autosampler and being a powerful instrument for the lab as well.